Erik Solheim was back home in Oslo last weekend, and vigorously trying to defend himself after having to resign as head of the United National Environment Programme (UNEP). He had no choice, after the UN’s secretary general himself told him he had to go. Solheim’s version is that he “had to go because I tried to change the UN.” He told various Norwegian media that he’d tried to launch some reforms “that someone didn’t like.” He repeated his contention that a UN report detailing and criticizing his extensive and expensive travel was full of errors, and he also claims he had “massive support” among most UN member nations. 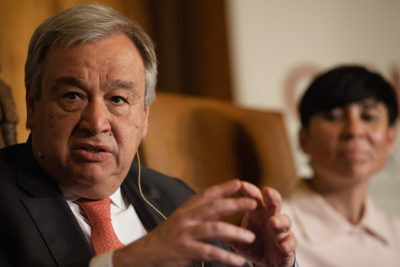 Newspaper Aftenposten, however, reported that UN Secretary General Antonio Guterres reacted negatively to Solheim’s lack of humility. UN auditors determined Solheim had both ignored and all but defied the UN system that he was part of. When Solheim criticized the report, failed to express regrets or promise to change his ways, Guterres had enough. After speaking with people tied to the UN in New York, Geneva, Oslo and at UNEP in Nairobi, Aftenposten was told that the UN boss didn’t like Solheim’s failure to accept criticism. Guterres also “knew that he had Norwegian officials behind him when he gave Solheim the message on Monday” that his time was up. The two men had spoken on the phone and Guterres sent a letter that Solheim had to resign immediately. Aftenposten outlined other problems, though, in addition to Solheim’s constant travel and how expensive and environmentally unfriendly it was (Solheim claims it was necessary in order to meet national leaders face to face and spread his climate agenda). Some of Solheim’s staff members, for example, reportedly got better benefits than others, including one who was allowed to work from home in Paris instead of moving to UNEP’s headquarters in Nairobi. “Erik created a culture where ‘his’ people felt they could do as they liked,” one sourse at UNEP told Aftenposten. Those who criticized Solheim were often told they were too bureaucratic and difficult. He also ran into trouble, reports Aftenposten, for agreeing to make UNEP a sponsor of the regatta known as Volvo Ocean Race, at a cost of USD 500,000. Solheim claims it was important to raise UNEP’s profile and a means for building up awareness of the problem of plastics in the seas. UNEP also entered into an unclear agreement with the company running Norwegian industrial tycoon Kjell Inge Røkke’s research vessel. Shortly thereafter Solheim’s wife Gry Ulverud was hired to work for the same company. That set off criticism for a possible conflict of interest. Other conflicts arose over UNEP’s financial support from China, and UNEP’s cooperation with China’s international Green Belt and Road Initiative (BRI). Critics, not least the US, claim the Chinese are using UNEP to “greenwash” its global infrastructure project, and have raised numerous questions. 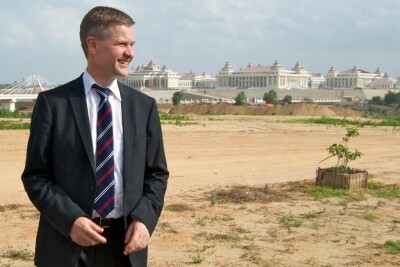 Solheim dismisses most of that criticism as well, claiming he has run into challenges from UN members who simply resist his belief that countries like China, India and Indonesia can lead the way in the future instead of countries in North America and Europe. The 63-year-old Solheim told newspaper Dagsavisen that he has received lots of sympathy from staff members, from embassies and international organizations. He claims he merely has worked “intensely” to put climate and environmental issues high on the international agenda. He still claims his constant globe-trotting was necessary (“I can’t ask the leader of Coca-Cola to come see me in Nairobi, I have to go visit him,” to talk about getting rid of plastic bottles, for example) and that he and his staff achieved “outstanding” results during his tenure.